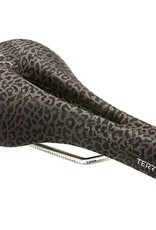 The ultimate bike seat for men, tested and highly praised by magazine editors and doctors at the University of Cologne, raced on by pro riders, ridden and universally loved around the world. 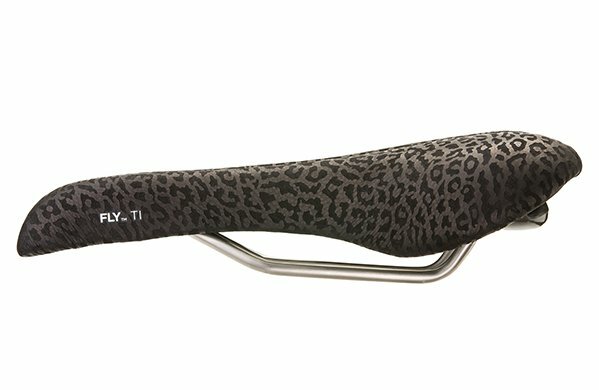 Introduced in 1999, the Italian-made Fly was a joint project between Terry and Selle Italia to develop the ultimate in a comfortable performance-level saddle for men. 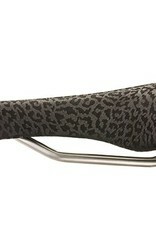 More padded than euro-style racing saddles; completely cut away through the mid-section, making it flexible and comfortable against soft tissues; low profile, flat top with multi-density injection molded foam that's a bit stiffer in the rear for more power while pedaling; lightest weight ti-nox rails; textured leather wears beautifully over time and keeps you in position.